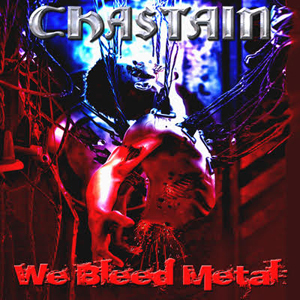 The new CHASTAIN album We Bleed Metal will be released worldwide on November 6th. It will be released on CD, Vinyl and digital. Guitarist David T. Chastain states: "This is a continuation of the Surrender To No One sound with hopefully some improvements all the way around. Leather has never sounded better and I believe this is my most shredtastic CHASTAIN lead guitar playing since The 7th Of Never era." In the late 80s the band released 2 Metal gems: World Gone Mad and Praise The Loud. The band use to regularly sellout Bogart's on a monthly basis and this show is something that most fans never thought they would see again. It is being booked as "Metal Forever! One Last Time". This show is not to be missed if you live in the area. Tickets have just went on sale! Buy early to be sure you get in!